Kennedy Kreations. Jewelry That Konnects Us. Contemporary custom designed Ribbon that is elegantly detailed and designed for daily wear. 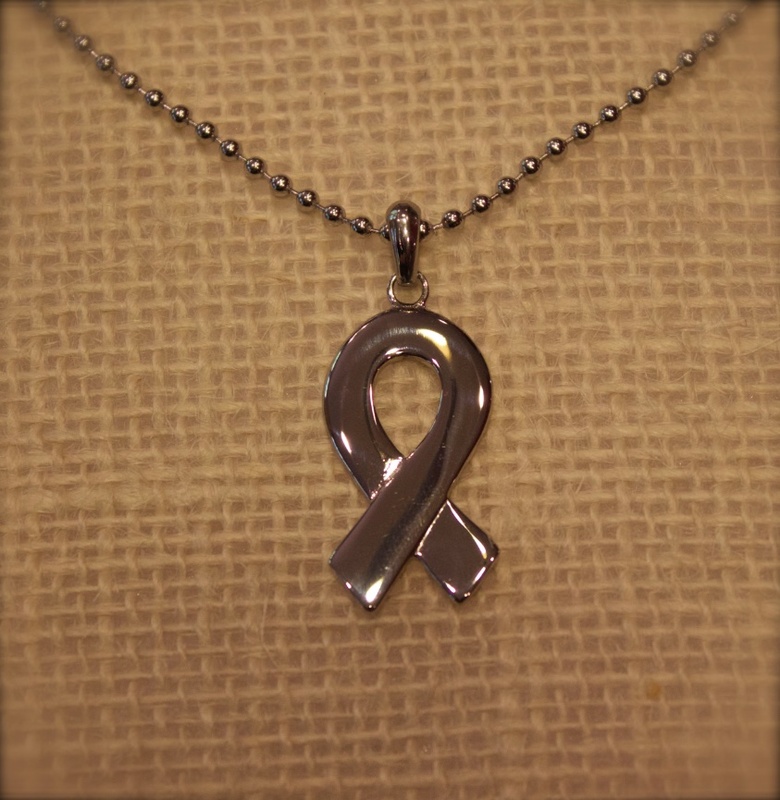 Show your support to find a cure and we will donate a portion of the proceeds to the American Cancer Society. Choose to customize your pendant with an engraved message of your choice.